I’m a big fan of LEAF (Local Enhancement and Appreciation and Forest) so when I got an email that they needed some help, I had to get involved. 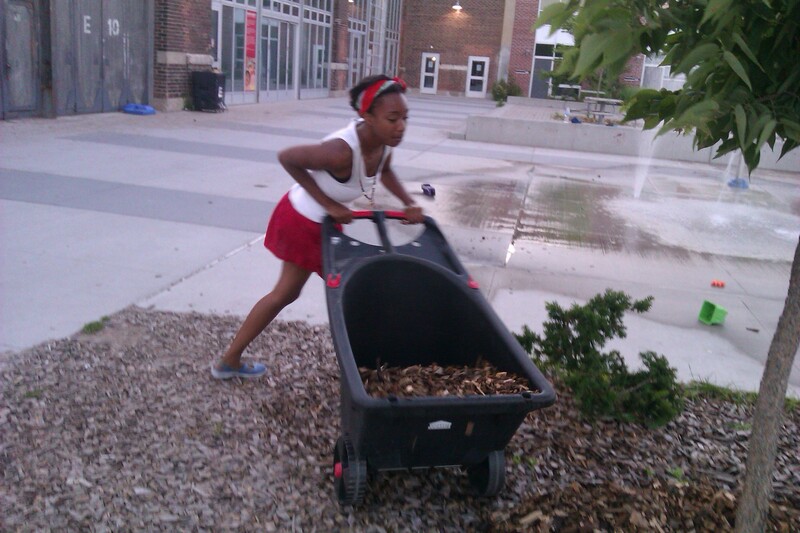 Two Tuesdays ago, LEAF held a volunteer-based mulching workshop where neighbours could pop by and get their hands dirty and help mulch trees at Wychwood Barns. Right after work I biked up there to go a-mulching. But wait! 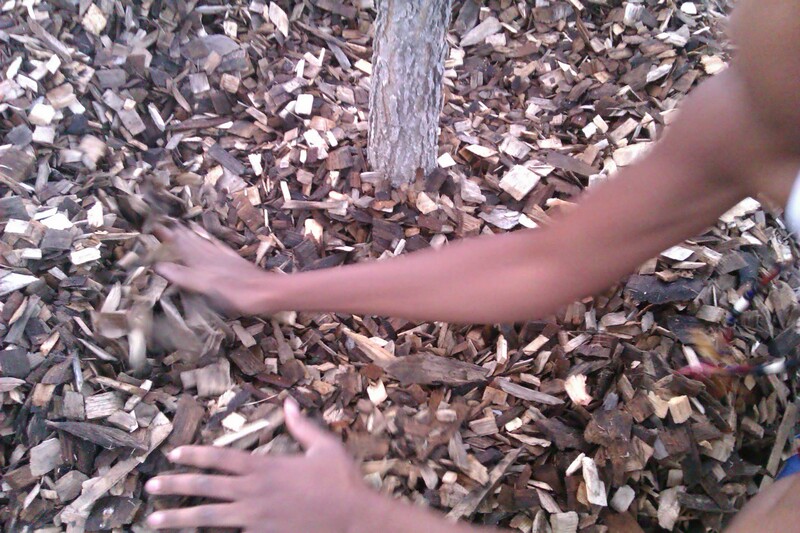 What the mother is mulch? 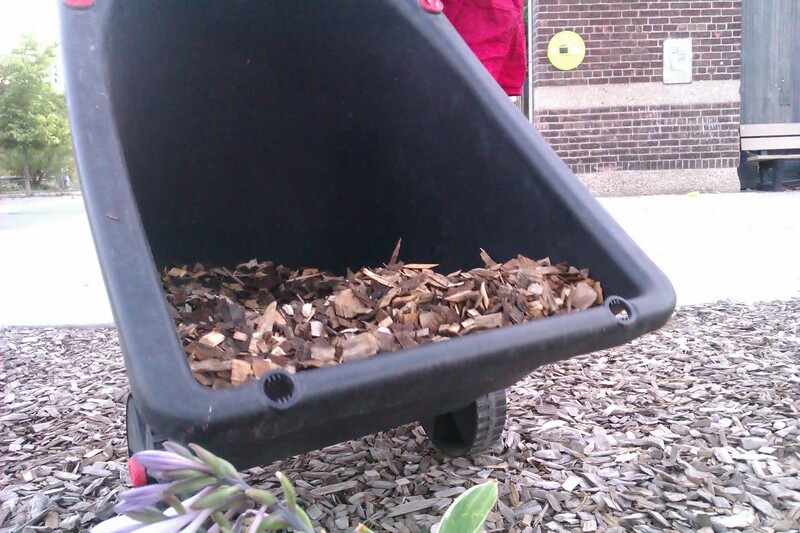 Well, mulch comes in different forms but the kind I used were wood chips. You spread it around the base of the tree and it increases soil moisture and as a result you don’t have water the tree as often. Sounds good to me. 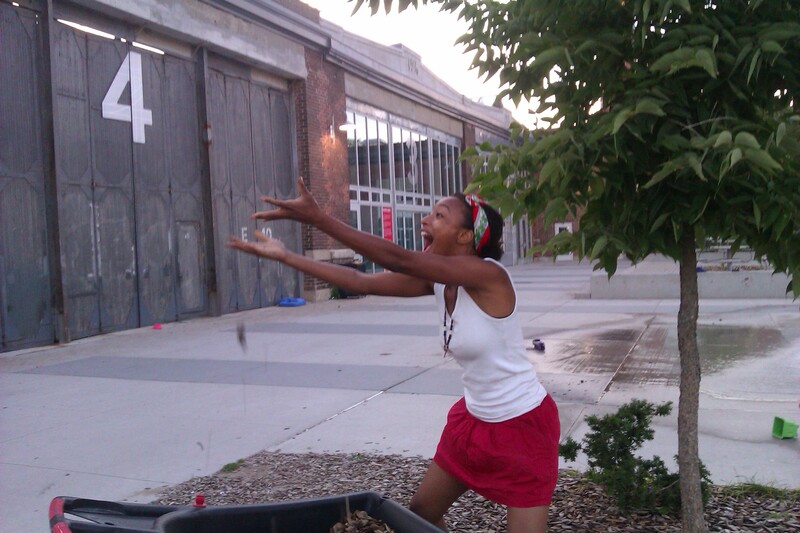 There’s no pictures of Whitney weeding because a weeding Whitney is an unhappy Whitney. Well, not entirely true but it’s the least favourite part. Luckily I had such lovely company from my mulching friends. That’s actually the beauty of LEAF initatives: you get to bond with neighbours. It’s rare I meet people who are into trees as much as I am (very rare) so meeting like-minded fellow tree-huggers is beyond refreshing. 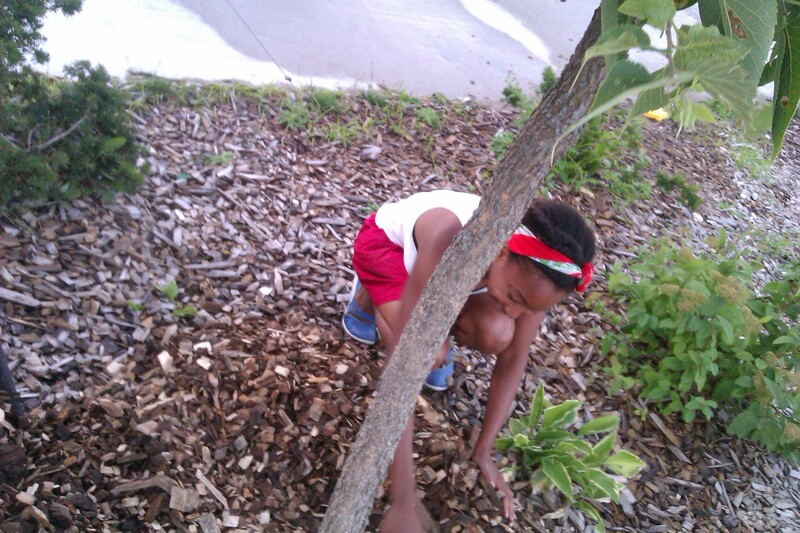 We exchange tree knowledge. Weeding is much more fun with friends! I’m doing the old “two-hand-twice-as-fast” method. There’s also a shovel. That method was preferred by all the other mulchers. Their loss. What does that mean? 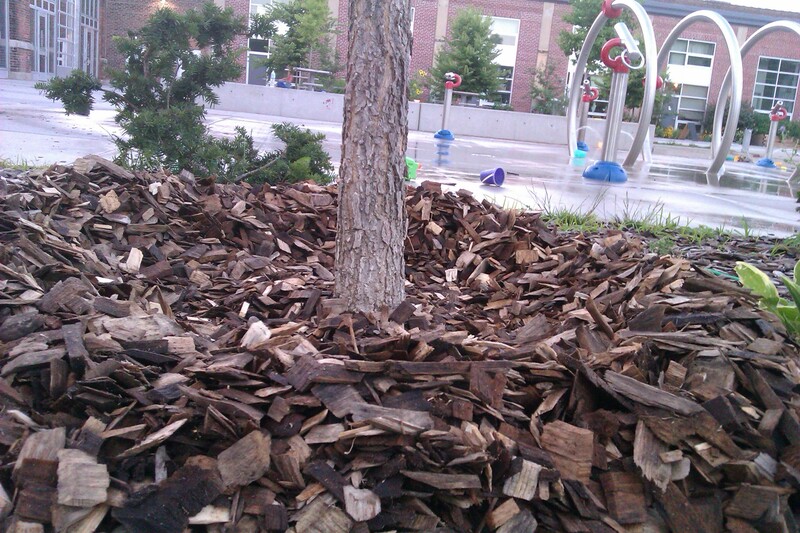 It means the tree hasn’t enough mulch for the season. Don’t worry dudes, Whitney’s on the way. 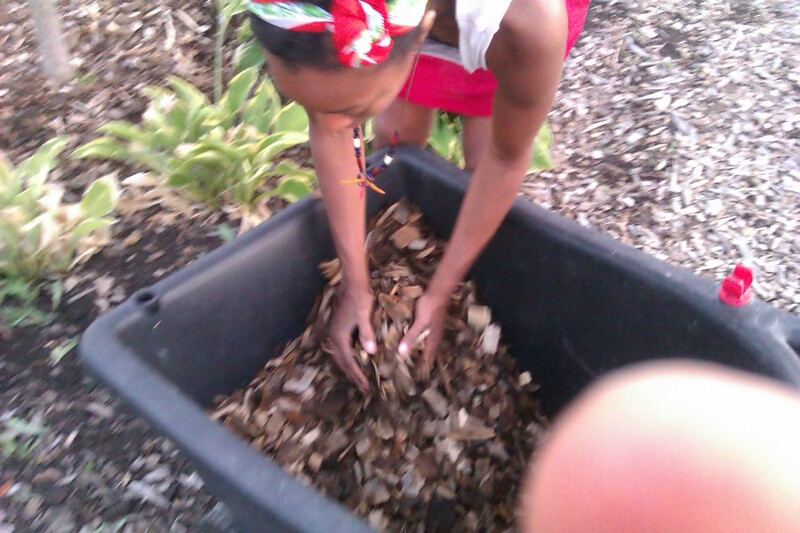 STEP FIVE: Spread that mulch like butter on hot toast! It’s important that when you’re mulching to avoid the volcano look. First of all, its no longer fashionable. And secondly, making a volcano can choke the trunk and water can’t reach the roots. That’s why we gotta smooth it out instead of pile it high. 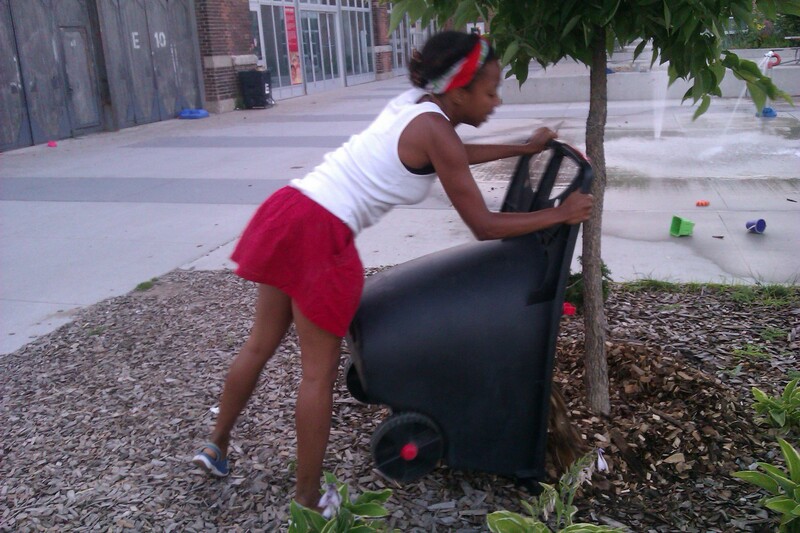 Thanks to LEAF for looking after the trees in my neighbourhood and inviting locals to get involved. If you’re interested in other LEAF initiatives check out their intensely comprehensive site here.